Popular Ron Paul-style California Republican Tom McClintock has announced that he is taking his brand of conservatism to Washington DC. Learn more about McClintock here and read about his announcement here. 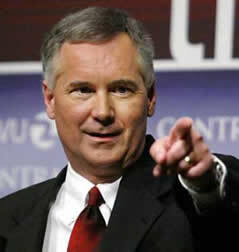 McClintock looks like a good candidate, but whether will gain support from the libertarian community remains to be seen.